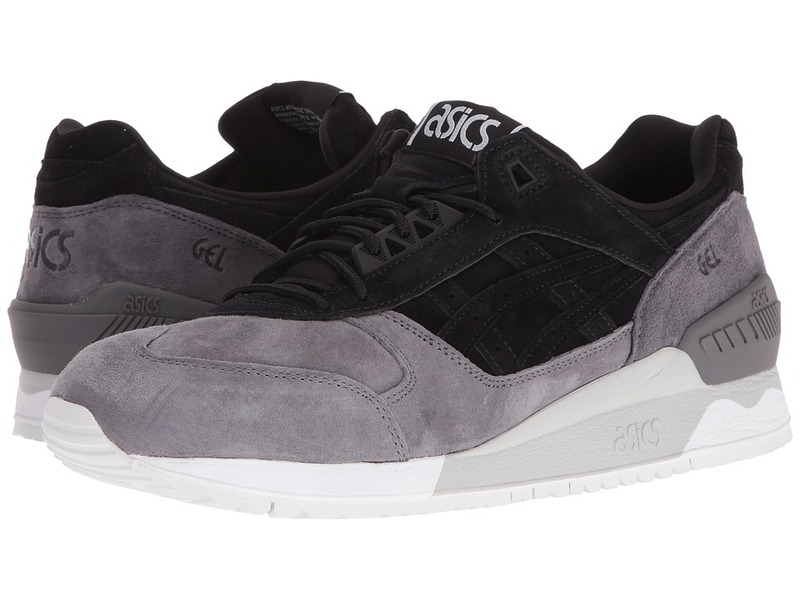 Get slay worthy street style with the Gel-Lyte III. 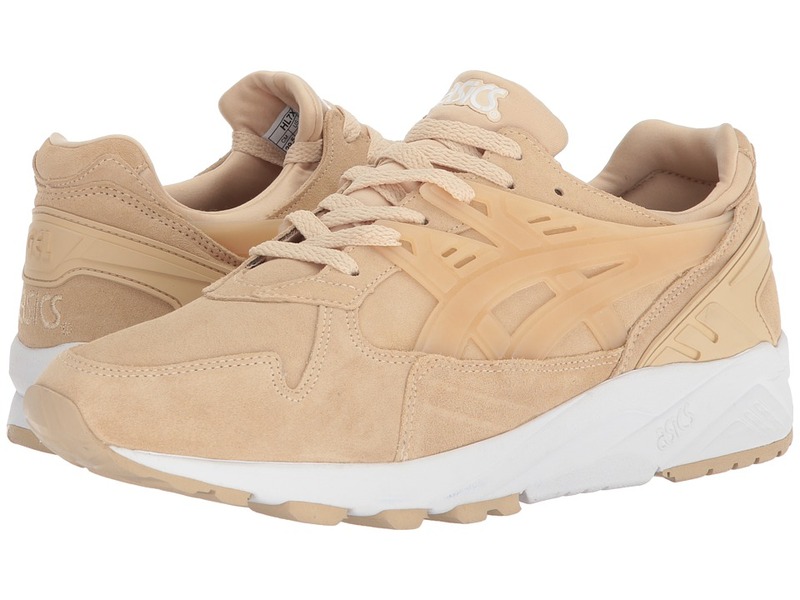 Suede and mesh uppers in a sporty silhouette. A padded tongue and collar provide comfort and support. Traditional lace-up closure for a snug fit. 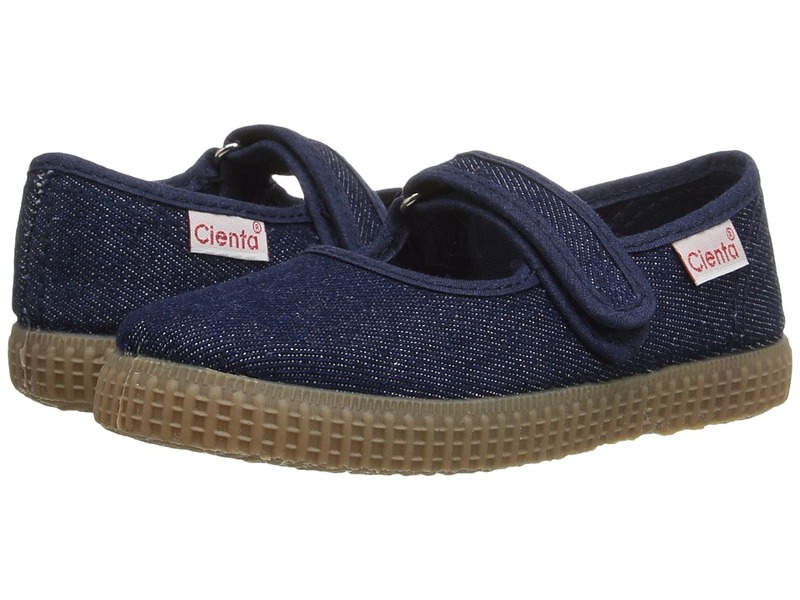 Breathable fabric or textile lining and a removable, cushioned footbed for all-day comfort. 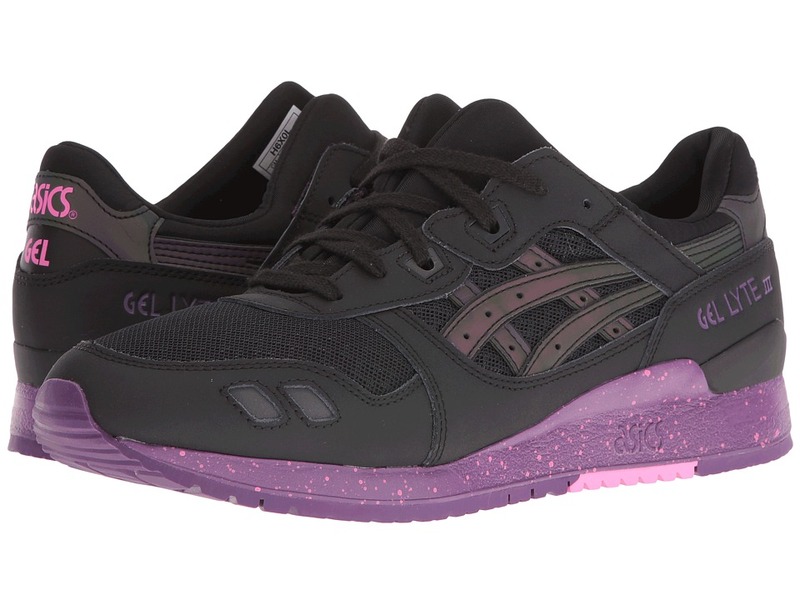 Gel Lyte III embroidery on outer heel. EVA midsole for cushioning. Rubber outsole with flex grooves for comfort. Imported. Measurements: Weight: 15 oz Product measurements were taken using size Men~s 11.5, width Medium. Please note that measurements may vary by size. Weight of footwear is based on a single item, not a pair. 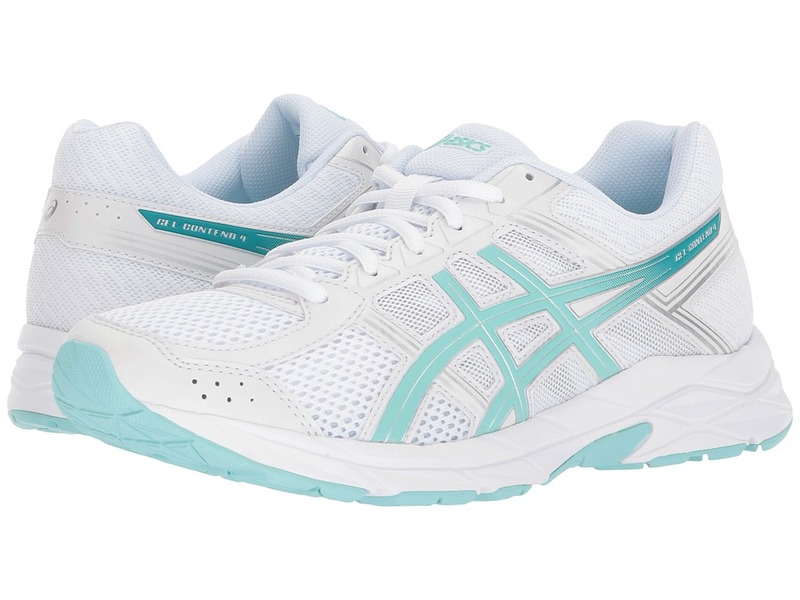 Keep your style classic and clean in the Gel-Kayano Trainer. Perforated leather upper with synthetic overlay at heel for support. A cushioned collar and tongue provide a cozy, internal fit. Lace-up closure for a snug fit. Chunky rubber midsole design for all-day comfort and support. Soft textile lining and a cushioned footbed for added comfort. Durable rubber outsole for excellent grip and traction. Imported. Measurements: Weight: 14 oz Product measurements were taken using size Men~s 11, Women~s 12.5, width Medium. Please note that measurements may vary by size. Weight of footwear is based on a single item, not a pair. 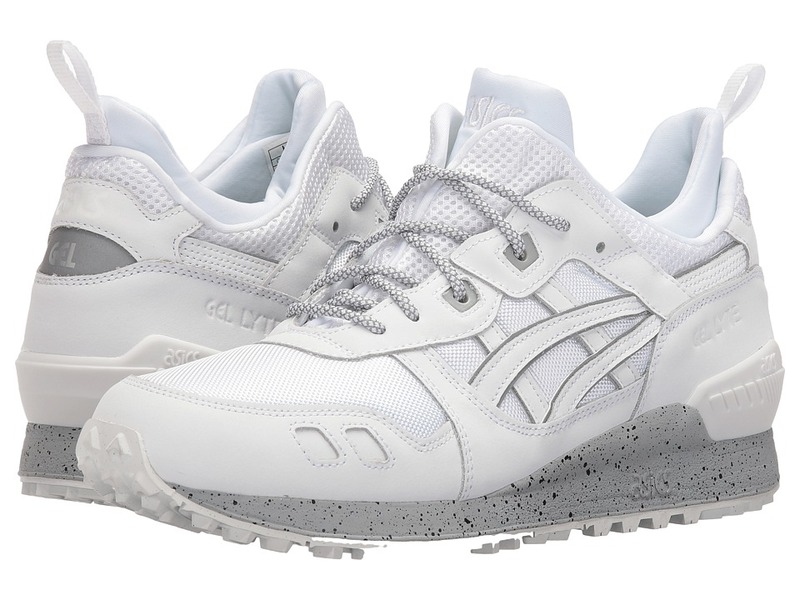 This popular throw-back style gets an upgrade with the Gel Lyte MT. Leather and synthetic uppers. A padded, split tongue and collar provide comfort and support. Traditional lace-up closure for a snug fit. Features a mono-sockliner for a more secure fit. Breathable neoprene lining and cushioned footbed for all-day comfort. Gel Lyte embroidery on outer heel. Gel-Respector model heel clip. EVA midsole for cushioning. Rubber outsole with flex grooves for comfort. Imported. Measurements: Weight: 15 oz Product measurements were taken using size Men~s 11.5, width Medium. Please note that measurements may vary by size. Weight of footwear is based on a single item, not a pair. 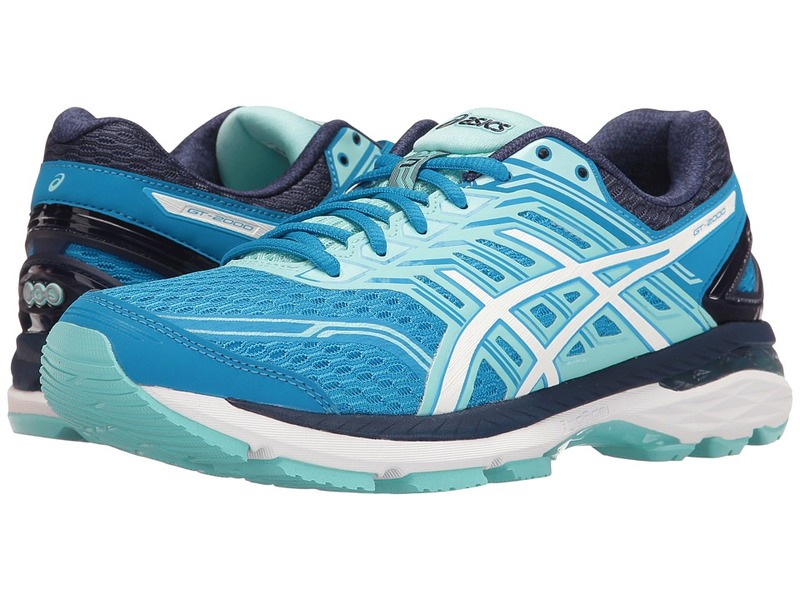 For structured cushioning that is made to go the distance, lace into the ASICS GT-2000 5 running shoe! Predecessor: GT-2000 4. Support Type: Overpronation/Stability. Cushioning: High energizing cushioning/Lightweight, flexible response. Surface: Road. Differential: 10 mm. Breathable mesh and synthetic upper materials. Lace-up closure. Discrete eyelets disburse lace tension for optimal comfort. Soft, plush tongue and collar. Heel Clutching System is made up of an exoskeletal heel counter that promotes an improved fit and increased support. ComforDry sockliner offers antimicrobial properties for a drier, healthier environment. I.G.S (Impact Guidance System) features linked components to enhance the foot~s natural gait from heel strike through toe-off. Dynamic DuoMax System increases stability and support with reduced weight and enhanced platform comfort. 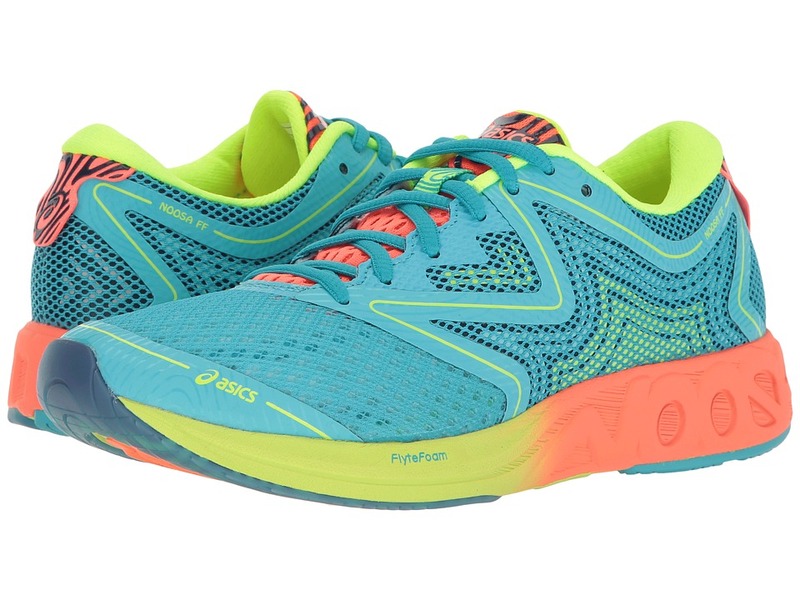 Gender-specific cushioning features a lower-density top layer for better compression set. Rearfoot forefoot GEL cushioning systems work together to better attenuate impacting shock and allow the foot to move fluidly throughout the gait cycle. FluidRide midsole technology delivers a supreme combination of energy return and cushioning with reduced weight and lasting durability. Heel/Toe: 21 mm/11 mm. AHAR is strategically placed throughout high-wear areas of the outsole. Guidance Line technology employs a vertical flex groove that decouples the tooling along the line of progression for maximum stride efficiency. Guidance Trusstic System integrates Guidance Line construction to enhance gait efficiency while promoting mid-foot structural integrity. Imported. Measurements: Weight: 10 oz Product measurements were taken using size 7.5, width B - Medium. Please note that measurements may vary by size. Weight of footwear is based on a single item, not a pair. 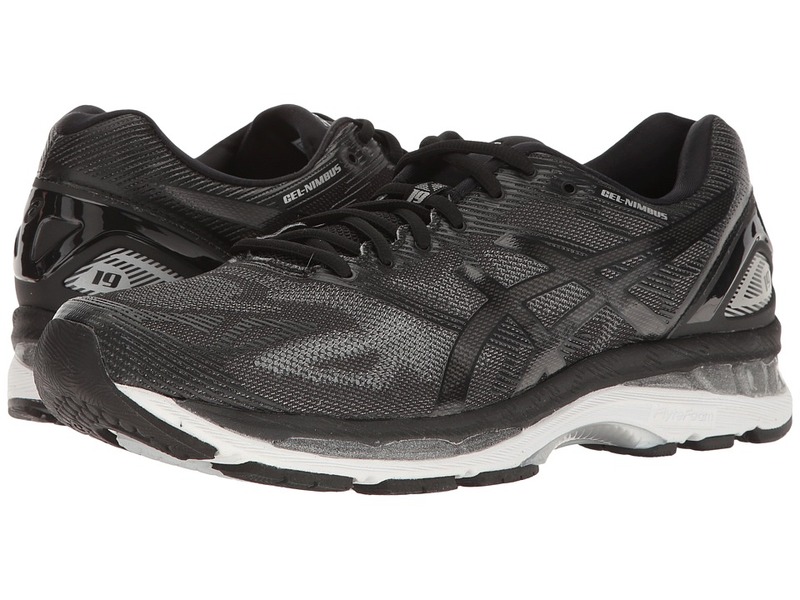 For structured cushioning that is made to go the distance, lace into the ASICS GT-2000 5 running shoe! Predecessor: GT-2000 4. Support Type: Overpronation/Stability. Cushioning: High energizing cushioning/Lightweight, flexible response. Surface: Road. Differential: 10 mm. Breathable mesh and synthetic upper materials. Lace-up closure. Discrete eyelets disburse lace tension for optimal comfort. Soft, plush tongue and collar. Heel Clutching System is made up of an exoskeletal heel counter that promotes an improved fit and increased support. ComforDry sockliner offers antimicrobial properties for a drier, healthier environment. I.G.S (Impact Guidance System) features linked components to enhance the foot~s natural gait from heel strike through toe-off. Dynamic DuoMax System increases stability and support with reduced weight and enhanced platform comfort. Rearfoot forefoot GEL cushioning systems work together to better attenuate impacting shock and allow the foot to move fluidly throughout the gait cycle. FluidRide midsole technology delivers a supreme combination of energy return and cushioning with reduced weight and lasting durability. Heel/Toe: 21 mm/11 mm. AHAR is strategically placed throughout high-wear areas of the outsole. Guidance Line technology employs a vertical flex groove that decouples the tooling along the line of progression for maximum stride efficiency. Guidance Trusstic System integrates Guidance Line construction to enhance gait efficiency while promoting mid-foot structural integrity. Imported. Measurements: Weight: 12 oz Product measurements were taken using size 11, width D - Medium. Please note that measurements may vary by size. Weight of footwear is based on a single item, not a pair. 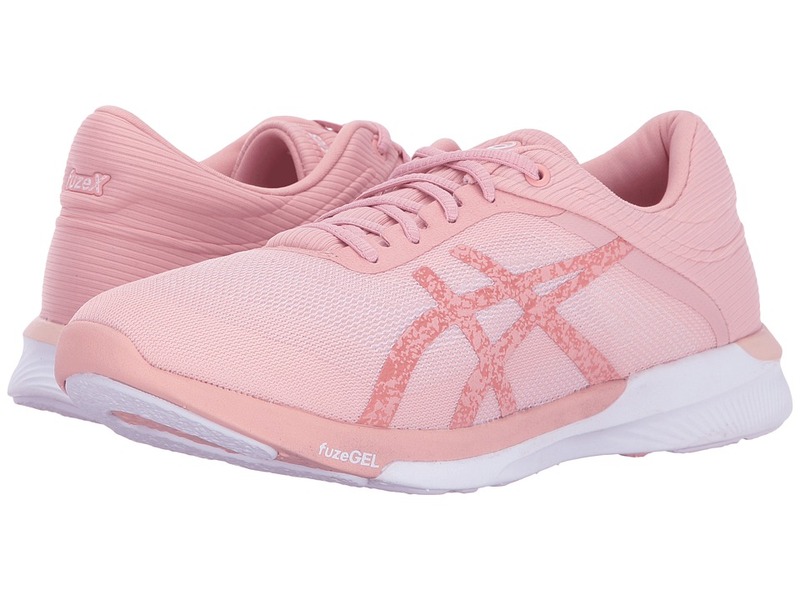 Mile after sweet mile, feet remain in exceptional comfort when you ride in the luxurious cushioning and dynamic response of the ASICS GEL-Nimbus 19 running shoe! Predecessor: GEL-Nimbus 18. Support Type: Neutral to underpronation (supination). Cushioning: High energizing cushioning. Surface: Road. Differential: 10 mm. Please note: The brand recommends ordering a half size larger in this style. Breathable mesh and synthetic upper materials. FluidFit upper technology adapts to the foot for a glove-like fit. Seamless upper construction reduces the likelihood of irritation. Lace-up closure. Heel Clutching System is made up of an exoskeletal heel counter for improved fit and increased support. Breathable fabric lining promotes a great in-shoe feel. Removable ComforDry X-40 textile sockliner. FluidRide midsole technology provides the ultimate combination of bounce back and cushioning properties. Rearfoot and forefoot GEL cushioning systems attenuate shock during impact and toe-off phases, allowing movement in multiple planes as the foot transitions through the gait cycle. Revolutionary FlyteFoam midsole creates a lightweight, responsive ride. Heel/Toe: 23 mm/13 mm. DURASPONGE and AHAR rubber outsole materials deliver cushioning, lasting durability, and reliable traction. Guidance Trusstic System supplies enhanced gait efficiency without compromising mid-foot structural integrity. Guidance Line technology uses a vertical flex groove to decouple the tooling along the line of progression for maximum stride efficiency. ComforDry lasting offers underfoot comfort and moisture management. Imported. Measurements: Weight: 13 oz Product measurements were taken using size 11.5, width D - Medium. Please note that measurements may vary by size. Weight of footwear is based on a single item, not a pair. Add variety to your training sessions when you lace into the versatile performance of the ASICS FuzeX Rush running shoe. Predecessor: None. Support Type: Neutral. Cushioning: Lightweight, flexible response. Surface: Road. Differential: 8 mm. Breathable mesh and synthetic upper materials. Seamless upper design helps reduce the likelihood of irritation. Discrete eyelets disburse lace tension for optimal comfort. Lace-up closure. Padded tongue and collar. Comfortable fabric lining offers a great in-shoe feel. Removable foam footbed. FuzeGEL midsole provides responsive cushioning and impact protection. Heel/Toe: 19 mm/11 mm. Durable AHAR rubber outsole delivers reliable grip and traction. Imported. Measurements: Weight: 8 oz Product measurements were taken using size 8.5, width B - Medium. Please note that measurements may vary by size. Weight of footwear is based on a single item, not a pair. Add variety to your training sessions when you lace into the versatile performance of the ASICS FuzeX Rush running shoe. Predecessor: None. Support Type: Neutral. Cushioning: Lightweight, flexible response. Surface: Road. Differential: 8 mm. Breathable mesh and synthetic upper materials. Seamless upper design helps reduce the likelihood of irritation. Discrete eyelets disburse lace tension for optimal comfort. Lace-up closure. Padded tongue and collar. Comfortable fabric lining offers a great in-shoe feel. Removable foam footbed. FuzeGEL midsole provides responsive cushioning and impact protection. Heel/Toe: 19 mm/11 mm. Durable AHAR rubber outsole delivers reliable grip and traction. Imported. Measurements: Weight: 10 oz Product measurements were taken using size 12, width D - Medium. Please note that measurements may vary by size. Weight of footwear is based on a single item, not a pair. 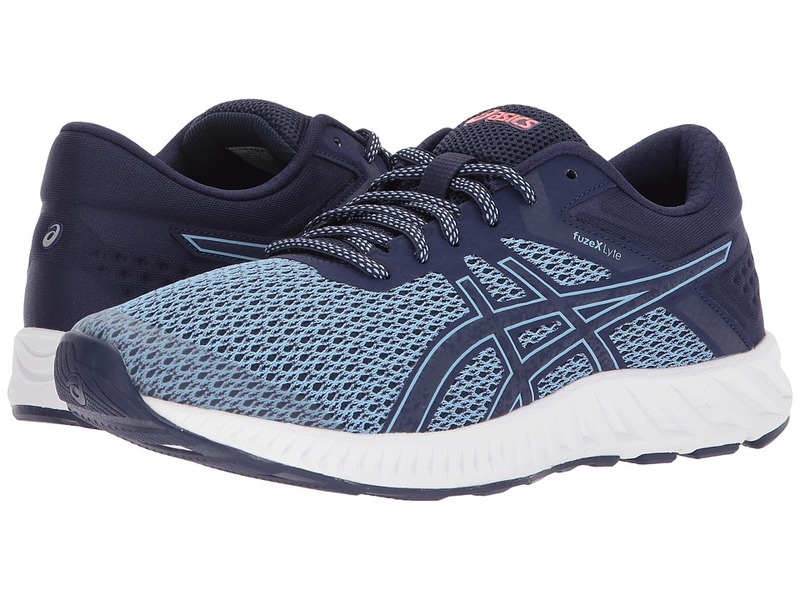 Add variety to your training sessions when you lace into the versatile performance of the ASICS FuzeX Lyte 2 running shoe. Predecessor: FuzeX Lyte. Support Type: Neutral. Cushioning: Lightweight, flexible response. Surface: Road. Differential: 8 mm. Breathable mesh and synthetic upper materials. Seamless upper design helps reduce the likelihood of irritation. Lace-up closure. Padded tongue and collar. Comfortable fabric lining offers a great in-shoe feel. Removable foam footbed. FuzeGEL midsole provides responsive cushioning and impact protection. Heel/Toe: 19 mm/11 mm. Durable AHAR rubber outsole delivers reliable grip and traction. Imported. Measurements: Weight: 8 oz Product measurements were taken using size 8, width B - Medium. Please note that measurements may vary by size. Weight of footwear is based on a single item, not a pair. 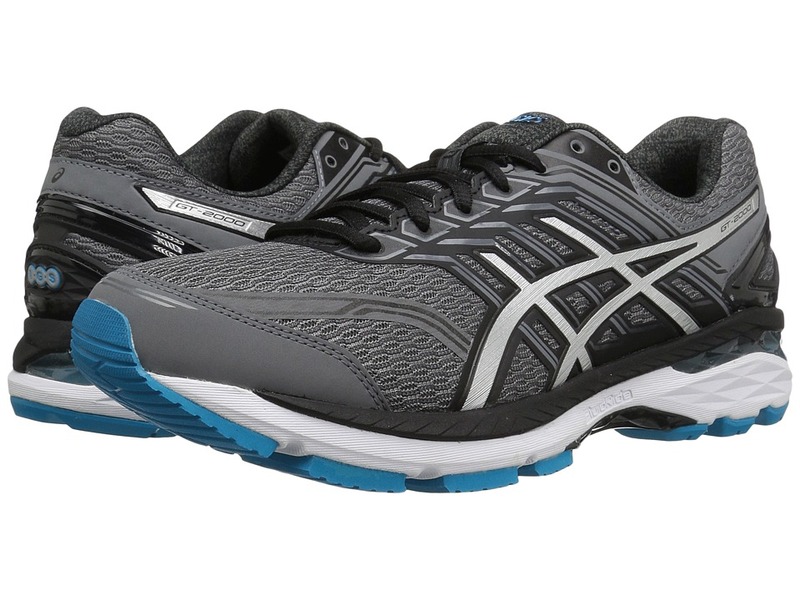 Get ready for smooth riding in the energizing cushioning and structured support of the ASICS GEL-Flux 4 running shoe! Predecessor: GEL-Flux 3. Support Type: Overpronation/Stability. Cushioning: High energizing cushioning. Surface: Road. Differential: 10 mm Lightweight, breathable mesh and synthetic upper materials. Lace-up closure. Padded tongue and collar. Breathable fabric lining offers a great in-shoe feel. Removable textile footbed. Rearfoot and forefoot GEL cushioning systems work together to better attenuate impacting shock, allowing the foot to move fluidly throughout the gait cycle. SpEVA midsole material maximizes energy return while reducing midsole breakdown. Heel/Toe: 22 mm/12 mm. DuraSponge outsole features a blown AHAR rubber compound that provides enhanced cushioning and durability. Guidance Trusstic System integrates Guidance Line construction to enhance gait efficiency, while promoting mid-foot structural integrity. Guidance Line technology employs a vertical flex groove that decouples the tooling along the line of progression for maximum stride efficiency. Imported. Measurements: Weight: 13 oz Product measurements were taken using size 12, width D - Medium. Please note that measurements may vary by size. Weight of footwear is based on a single item, not a pair. 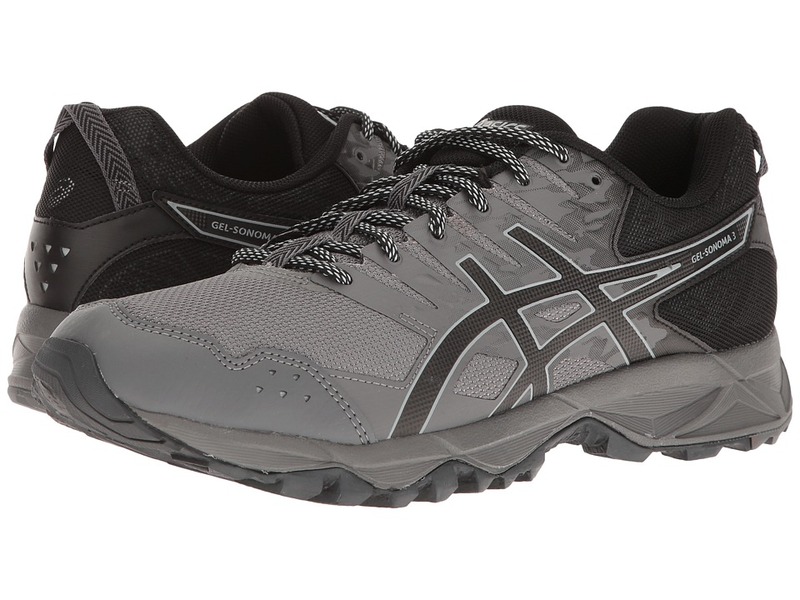 For structured cushioning that is made to go the distance, lace into the ASICS GT-2000 5 Trail running shoe! Predecessor: GT-2000 4. Support Type: Overpronation/Stability. Cushioning: High energizing cushioning/Lightweight, flexible response. Surface: Road. Differential: 10 mm. Breathable mesh and synthetic upper materials. Lace-up closure. Discrete eyelets disburse lace tension for optimal comfort. Soft, plush tongue and collar. Heel Clutching System is made up of an exoskeletal heel counter that promotes an improved fit and increased support. ComforDry sockliner offers antimicrobial properties for a drier, healthier environment. I.G.S (Impact Guidance System) features linked components to enhance the foot~s natural gait from heel strike through toe-off. Dynamic DuoMax System increases stability and support with reduced weight and enhanced platform comfort. 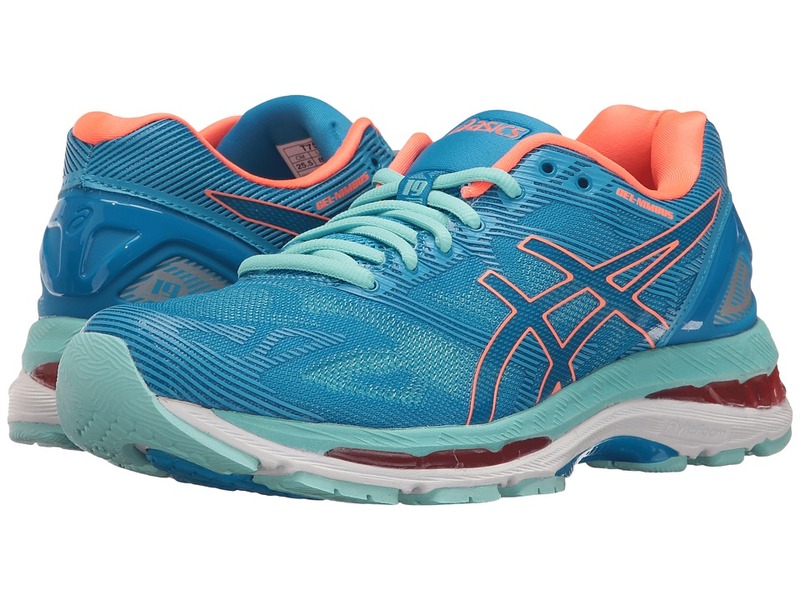 Gender-specific cushioning features a lower-density top layer for better compression set. Rearfoot forefoot GEL cushioning systems work together to better attenuate impacting shock and allow the foot to move fluidly throughout the gait cycle. FluidRide midsole technology delivers a supreme combination of energy return and cushioning with reduced weight and lasting durability. Heel/Toe: 21 mm/11 mm. AHAR is strategically placed throughout high-wear areas of the outsole. Trail-specific outsole. Guidance Line technology employs a vertical flex groove that decouples the tooling along the line of progression for maximum stride efficiency. Guidance Trusstic System integrates Guidance Line construction to enhance gait efficiency while promoting mid-foot structural integrity. Imported. Measurements: Weight: 10 oz Product measurements were taken using size 7.5, width B - Medium. Please note that measurements may vary by size. Weight of footwear is based on a single item, not a pair. 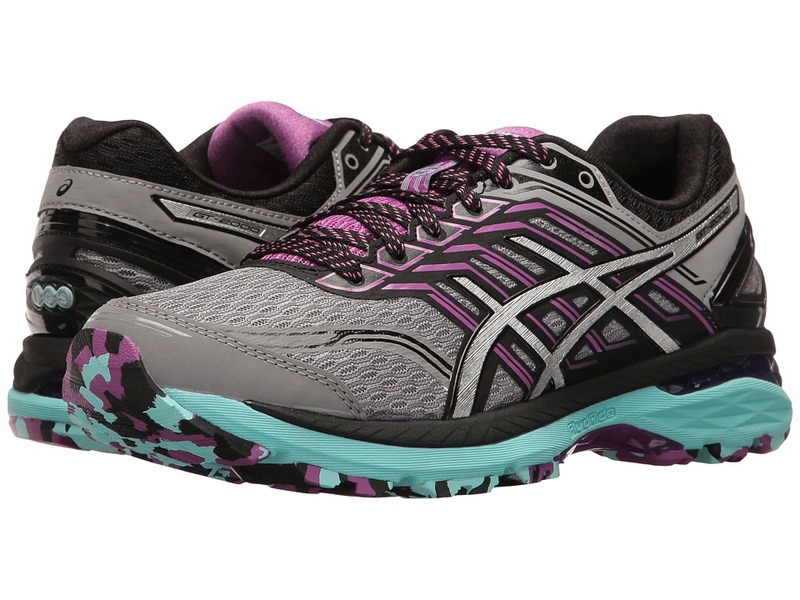 Break from your typical asphalt training session, and take to the trails in the ASICS GEL-Sonoma 3 running shoe! Predecessor: GEL-Sonoma 2. Support Type: Neutral to underpronation. Cushioning: Lightweight, flexible response. Surface: Trail. Differential: 8 mm. Hardy mesh and synthetic upper materials. Lace-up closure. Padded tongue and collar. Breathable fabric lining offers a great in-shoe feel. Removable textile footbed. SpEVA midsole material decreases midsole breakdown for long-lasting wear. Rearfoot GEL cushioning system attenuates impacting shock, allowing for a smooth transition throughout the gait cycle. Heel/Toe: 19 mm/11 mm. Durable AHAR rubber outsole delivers reliable traction and grip. Trail Specific outsole features reversed lugs that provide uphill and downhill traction on varied terrain. Imported. Measurements: Weight: 10 oz Product measurements were taken using size 9, width D - Wide. Please note that measurements may vary by size. Weight of footwear is based on a single item, not a pair. 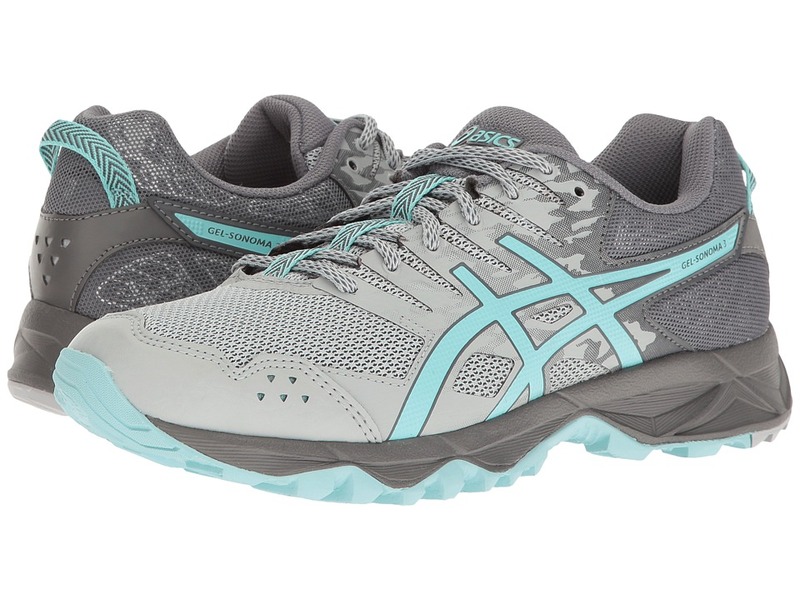 Break from your typical asphalt training session and take to the trails in the ASICS GEL-Sonoma 3 running shoe! Predecessor: GEL-Sonoma 2. Support Type: Neutral to underpronation. Cushioning: Lightweight, flexible response. Surface: Trail. Differential: 8 mm. Hardy mesh and synthetic upper materials. Lace-up closure. Padded tongue and collar. Breathable fabric lining offers a great in-shoe feel. Removable textile footbed. SpEVA midsole material decreases midsole breakdown for long-lasting wear. Rearfoot GEL cushioning system attenuates impacting shock, allowing for a smooth transition throughout the gait cycle. Heel/Toe: 19 mm/11 mm. Durable AHAR rubber outsole delivers reliable traction and grip. Trail Specific outsole features reversed lugs that provide uphill and downhill traction on varied terrain. Imported. Measurements: Weight: 12 oz Product measurements were taken using size 12, width D - Medium. Please note that measurements may vary by size. Weight of footwear is based on a single item, not a pair. 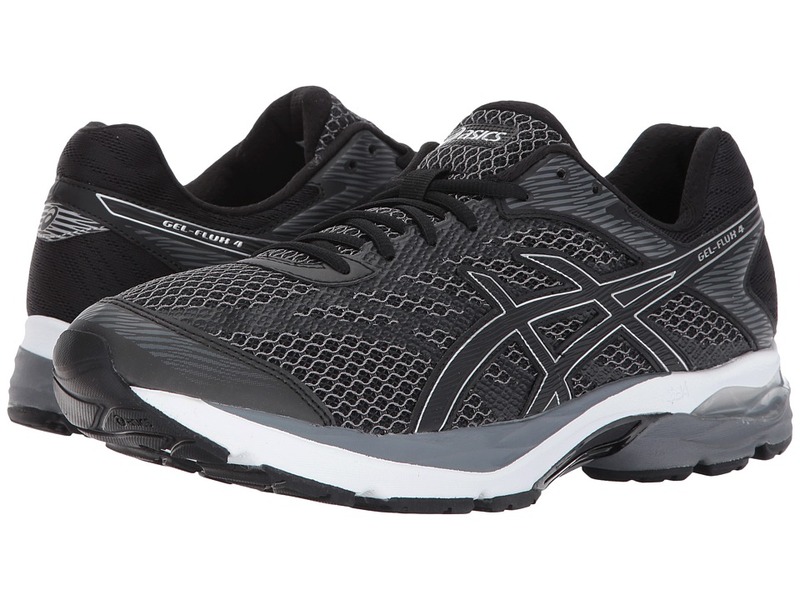 Start a healthy habit with the help of the ASICS GEL-Contend 4 running shoe! Predecessor: GEL-Contend 3. Support Type: Neutral to underpronation. Cushioning: Lightweight, flexible response. Surface: Road. Differential: 10 mm. 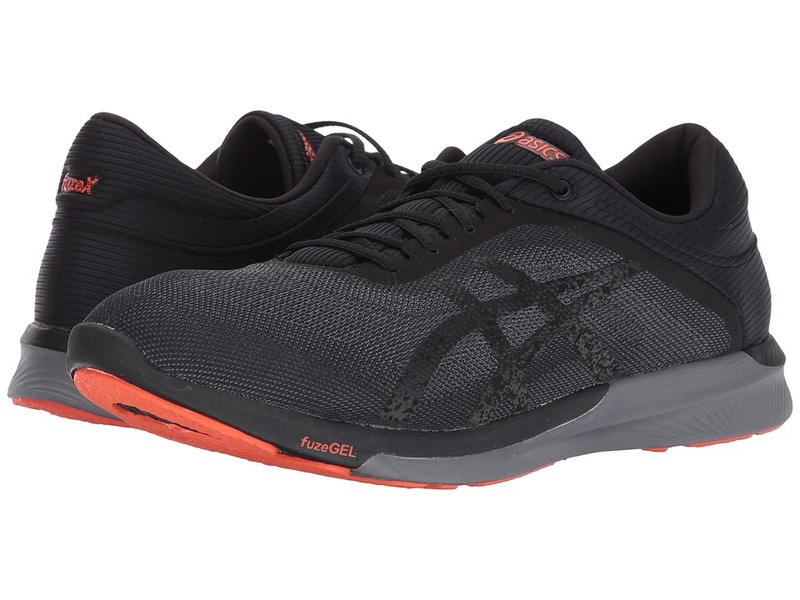 Built for the low-mileage runner looking for a versatile, everyday shoe. Breathable mesh and synthetic upper materials. Laminate mid-foot cage provides structural support. Lace-up closure. Padded tongue and collar. Breathable fabric lining offers a great in-shoe feel. Removable textile footbed. Rearfoot GEL cushioning system attenuates impacting shock, allowing for a smooth transition throughout the gait cycle. Heel/Toe: 22 mm/11 mm. Durable rubber outsole delivers reliable grip. Imported. Measurements: Weight: 9 oz Product measurements were taken using size 7.5, width B - Medium. Please note that measurements may vary by size. Weight of footwear is based on a single item, not a pair.